I have no idea how Conan O’Brien measures up when it comes to issues of animal welfare (my usual gauge as to whether or not I like a celebrity). But I’ve found myself, at watershed moments in my life, paying particular attention to this comic’s insights. Yesterday in fact, for the second time in just a few years, I heard him say something that deeply resonated with me. And how often do celebrities do that? For me, it was like a public confirmation of what I’d personally experienced in a rather pronounced way. Corroboration — by a famous person so it must be fact! — of what’s proved true for me. I’ve worked very hard. I’ve tried to be kind. An amazing thing did happen: I got a job getting paid to do what I love (write) on a topic I’m fiercely devoted to (rescue). 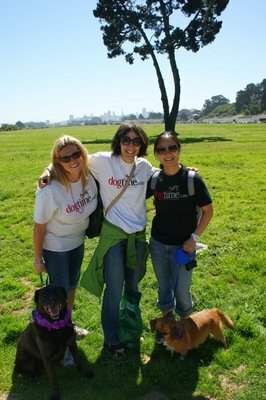 DogTime was not only compensating me to expound on my favorite animal, I was given a platform to discuss volunteering and advocacy and the issues I care about above all else. What’s more, I got to write about my own dogs. I got to write about elephants and pigs and cats. And, under the guise of professional necessity, I even got to write about my friends and show photos of my family. This was more than just hard work and kindness — this was luck. I am grateful. Of course, we know what he means. Once you allow your personal convictions and passions to seep into your professional life, it’s no longer your job. It’s not just a paycheck anymore. You can’t leave work at work; it follows you home and burrows from your conscious to your subconscious, leaving well-lit calling cards as it wends and backtracks. Risky, yes, in some ways — but also thrilling and empowering and incredibly satisfying. My grandfather had tried to convince me of the same thing, but he put it like this: If you earn your living doing what you love, you’ll never work a day in your life. I’ve been fortunate enough to earn my living doing what I love these past few years. No secret: I’ve never cared for Jay Leno. I’ve always officially been Team Coco. And it doesn’t (necessarily) have anything to do with the fact that one of my childhood dogs was named Coco. The truth is, I like O’Brien’s passion, I admire his quickness, and I love his message.